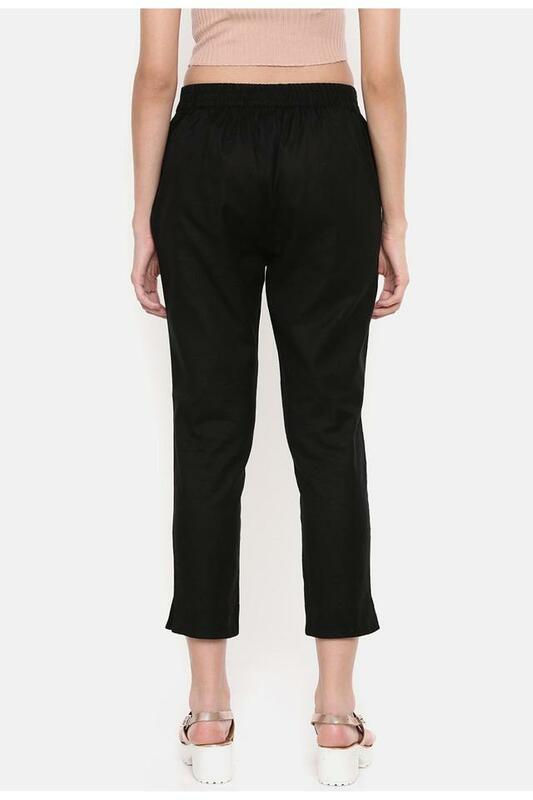 Liven up your wardrobe with this pair of pants from De Moza. It features a solid pattern that is the main attraction along with perfect fit. On the other hand, it is tailored with a cotton flex fabric, which will keep you at ease throughout the day. Perfect pick for your casual outing. Wear it with a top and pair of peep-toes for a late brunch.